Cutter & Squidge is a cute little cafe in Soho. Set up by two food obsessed sisters, creators of the ‘Biskie’, it’s not to be missed! It’s also good to see that the lovely cakes and biskies are (kind of) good for you i.e. the ingredients are mostly local and not overly sugary as some can be. This is the perfect place to pop in for an hour or so, get your dessert fix, and off you go again! From matcha teas to strong lattes, the variety of drinks on offer are also great. In terms of the decor, I loved the small touches including the hanging plants, flowers etc. It added to the quirkiness of the place which, I believe, has been designed by Callum Lumsden (whose other works include Harry Potter World and Warner Bros Studio Tours). Top tip: The biskies are also sold in gift boxes and work really well for special occasions such as birthdays, weddings, baby showers, anything really!) 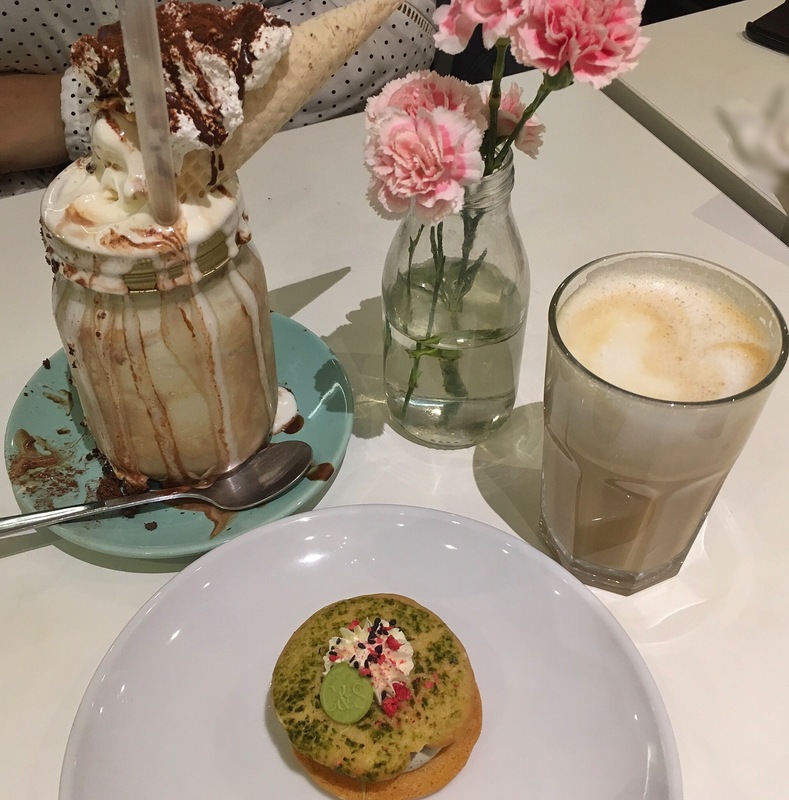 And, if you’re feeling like indulging, try the crazy shake (or at least that’s what I think it was called!) – I am reliably informed by my friend that it was delicious and not too sweet! You can’t come to Cutter & Squidge and not try their famous biskie, a cross between a biscuit, cookie and cake, filled with specially made, light buttercream with reduced sugar, handmade jams and caramels. 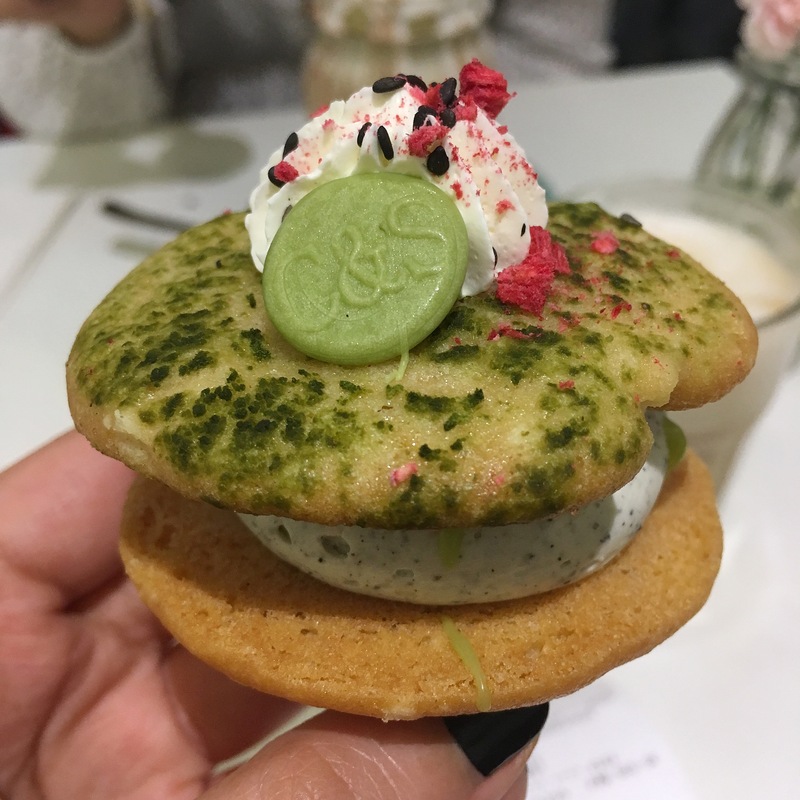 I tried the matcha flavoured biskie which was quite chewy and went well with the softness of the sesame buttercream. All in all, a Saturday well spent, topped off with some beautiful sunshine. 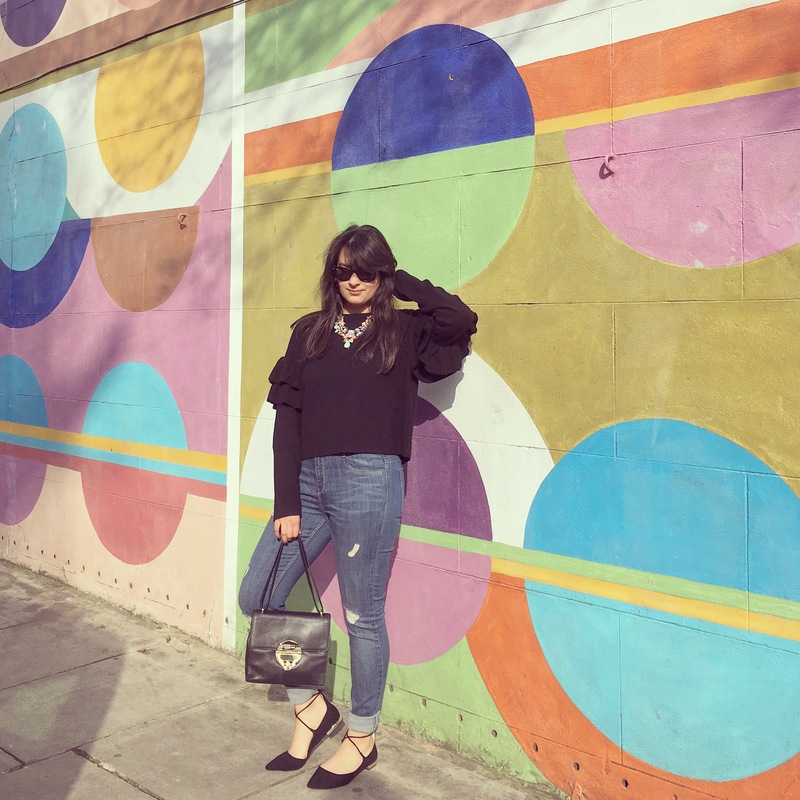 Given it’s London Fashion Week, it’s only right that I also talk about fashion! 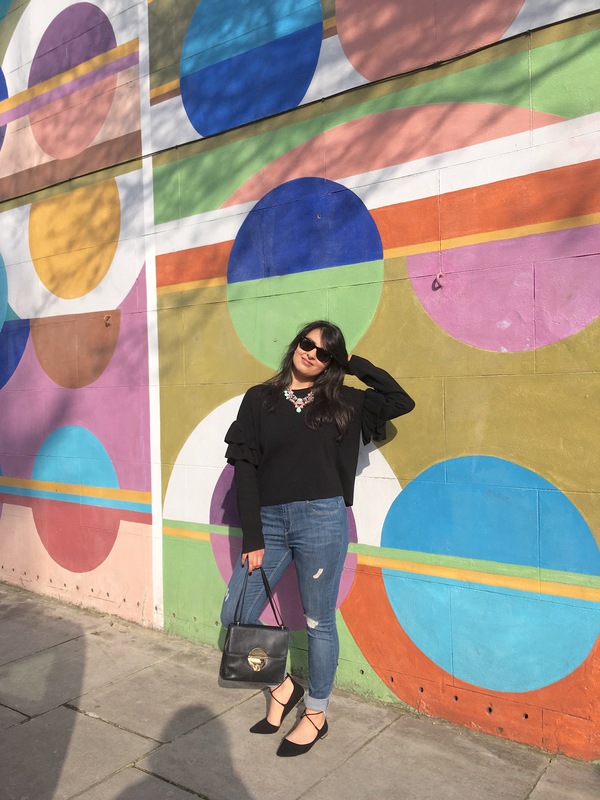 I love this jumper from H&M, especially the ruffle overload on the sleeves! Sadly, it doesn’t seem like it’s available on the website at the moment, but click here and here for some similar options.